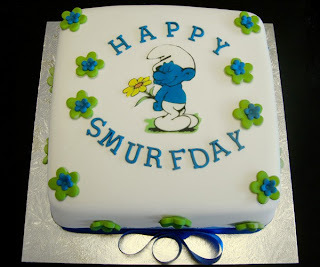 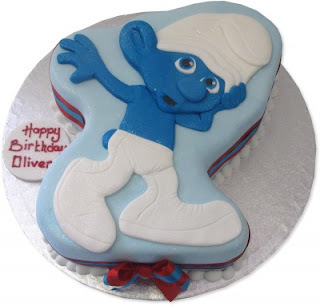 One fashion theme for children's parties are the Smurfs, these lovable characters have become blue in the cocky young and old, for this reason, and if the characters chosen for the birthday of your son or daughter are these, we present a cakes models series. Cake 1, it is a simple but tender pie, preferably using elastic mass, chestnut or masapán, to cover it. 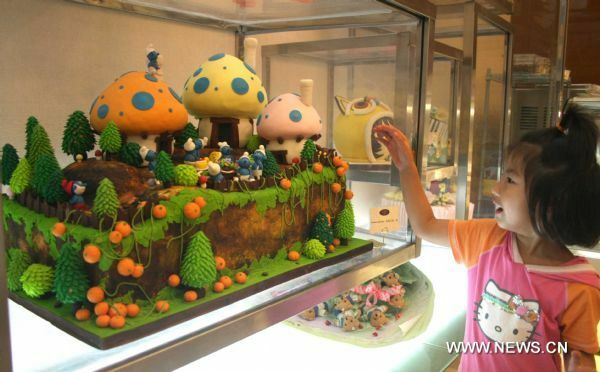 Cake 2, what stands out is the detail of the fungus that can be processed with cold ceramic or sugar, the cake is on the bottom. 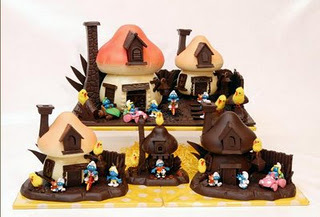 Cake 3 if you want something different, this is a work art of chocolate, you have two options, the show, as seen in the image, or use these details as decoration on rectangular cake. 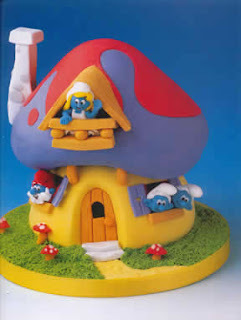 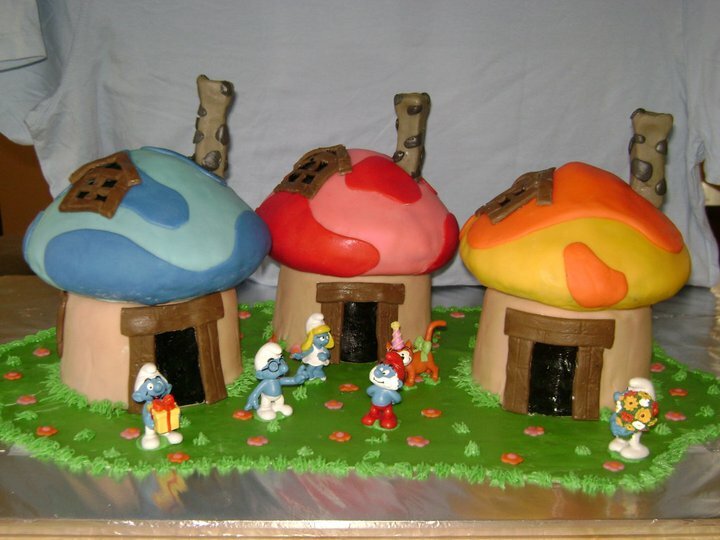 Cake 4, if you prefer complexity, this model is for you, this is the recreation of the Smurfs Villa, note that if you want this cake, it must be large so that they can appreciate all the details . 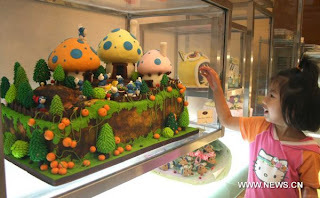 Cake 5, on the other hand, to show the contrast of the complexity and simplicity, this model is very tender and easy. Cake 6 in this model include the details of fungi and smurfs, the cake itself can go on the bottom. 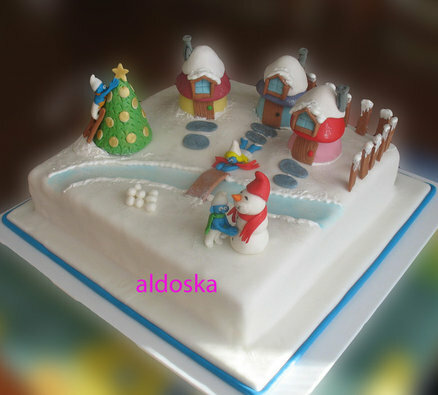 Cake 7, an ideal model for the holiday season.